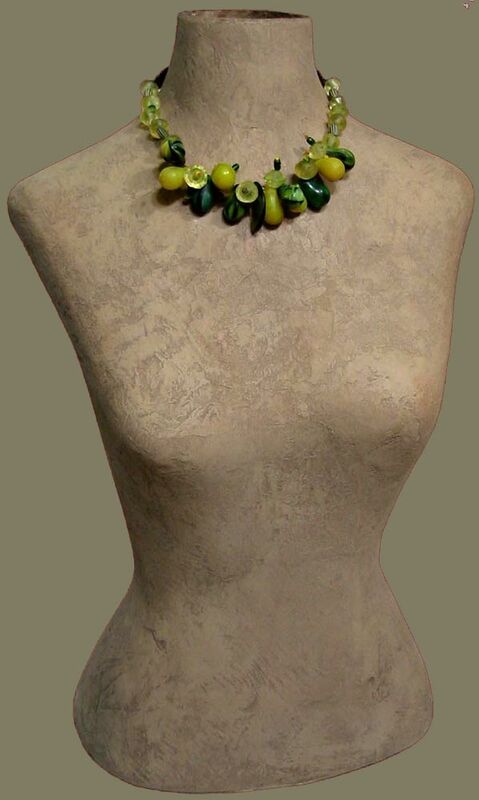 “Lemon Drop” Beaded Necklace 9: Put on a Happy Face With This Cheery, Handmade Beaded Necklace in Lime Green and Citrus Lemon Yellow. 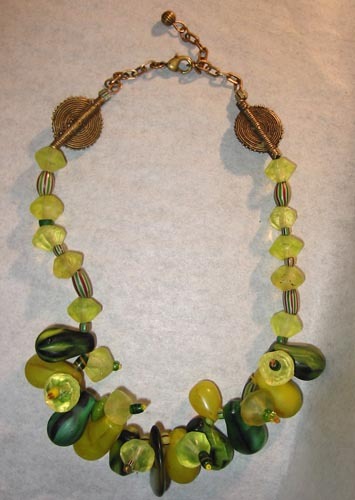 A Colorful Jewelry Necklace of Vintage Trade Beads From Africa. The Majority are Czech Beads and Venetian Beads, and Include Mali Wedding Beads, Melon Beads, and Old Vaseline Bicone Beads. Wedding Beads are Predominately Pear Shaped, but There are Also Some of the More Difficult to Find…Claw Shaped, Faceted, Fluted, and One Resembling an Artichoke. Hand-Cast Brass Beads From the Ivory Coast Flank a Lovely Reclaimed Vintage Brass Chain With Crab Claw Clasp. One of a Kind Fashion Accessories From Tate and the Artisanaworks Studio. Made in the USA!